Introduced just 2 years after the ME, the ME Super is one of two cameras that replaced the first auto-mode M series body. I had one in the early ’80s and absolutely loved it! 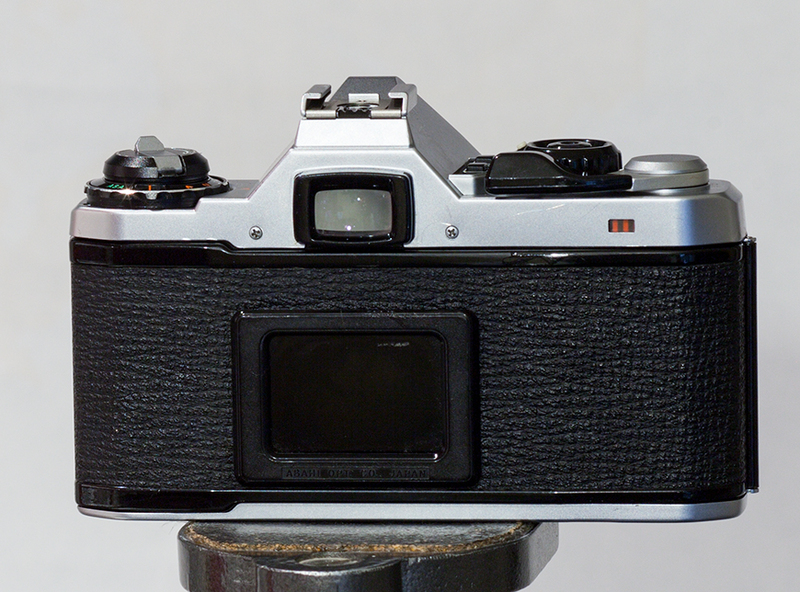 The ME of 1977 was an aperture priority mode only camera; with the exception of 1/100th there was no provision for manual shooting at all with the original ME. to the aperture priority auto mode of the ME, the Super adds manual by way of two small push buttons alongside the mode selector, with which the shutter speed may be selected when in manual mode. As this model represented a “step up” from the ME, another, simpler model was introduced at the same time as the other part of the ME replacement – the short lived MV. 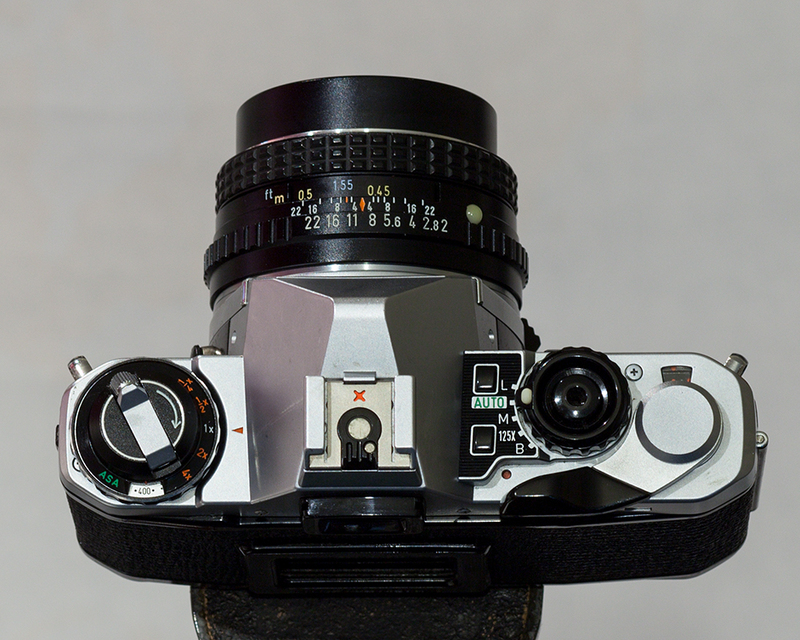 Electronic focal plane shutter using overlapping blades runs vertically, just as was seen in the K2, but here offers speeds of 4s to 1/2000th – changed from the 8s to 1/1000th of the ME. 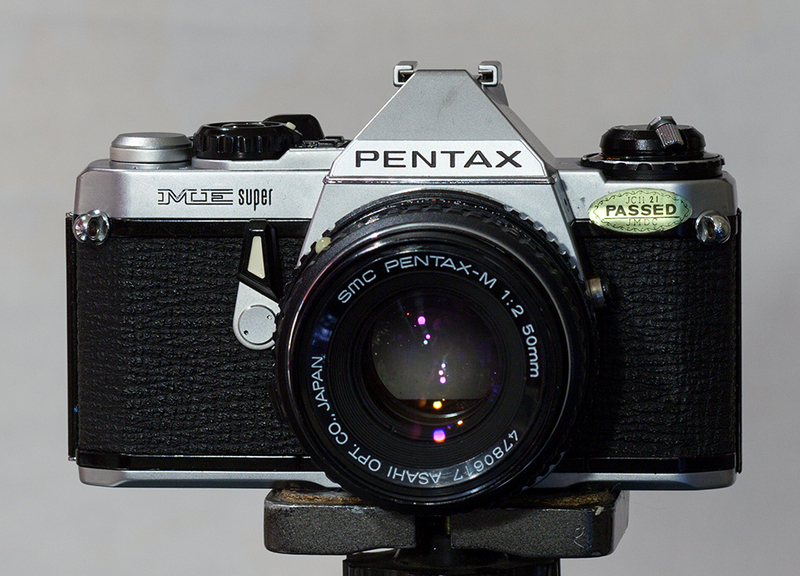 If power is lost the camera can continue to be used at 1/125th, which is also the flash sync speed.The ME Super also adds a contact to the hot shoe for a dedicated flash – possibly the first time seen on a Pentax? – although the level of integration is simple by modern standards. With a dedicated flash attached the shutter speed is automatically set to 1/125, and the user gets a flash ready light in the viewfinder. 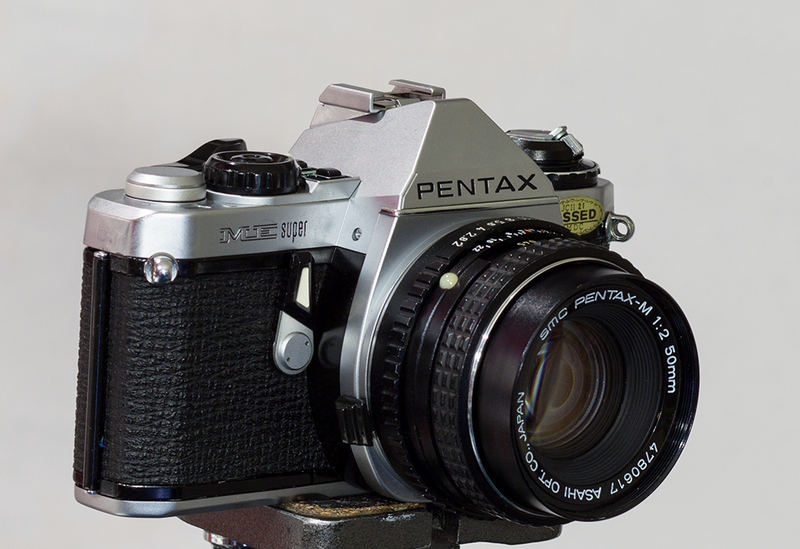 A fixed focusing screen offers the typical split image center with micro-prism collar and Fresnel field – by comparison with the majority of modern DSLRs it’s both huge and bright. The convenient red dot shutter-cocked indicator is carried over, as are the reassuring film-advance confirmation bars just below the wind crank. 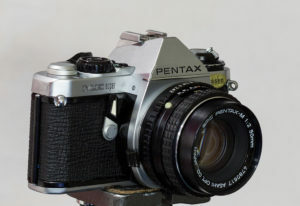 Metering is center weighted, TTL, open aperture type, and an LED dot appears in the viewfinder alongside the selected shutter speed. 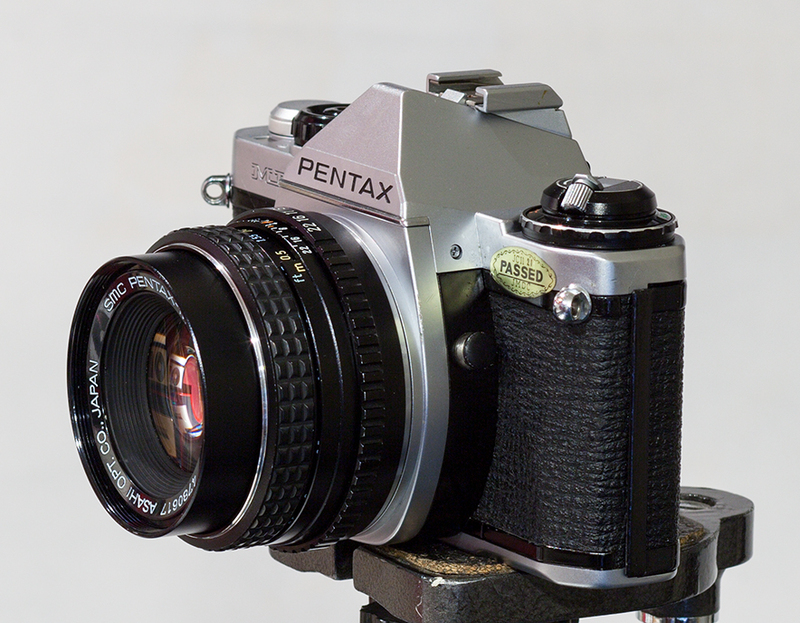 As with all Pentax models since the introduction of the K series, the PK bayonet mount is used to attach lenses. To those of us who wanted something small enough to easily carry, which offered the very usable aperture priority exposure system with the option of full manual, and just felt good to hold – the ME Super was the right camera at the right time. Light with great ergonomics it’s also proved itself to be a very dependable camera over the many, many years since it was introduced. Acquired during December 2012 for $35 on eBay, this example required the expected amount of cleaning. It’s a little scraped here and there, but generally has held up well. It winds and fires smoothly, and is as quiet and confident in the hands as ever.